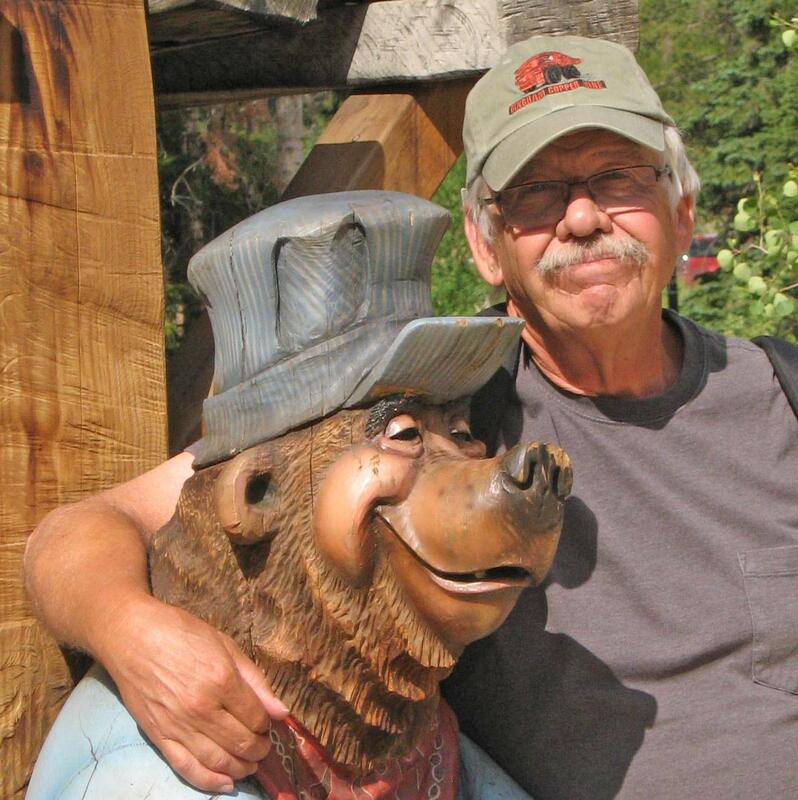 Erna Eisendrath Memorial Education Award, recognizing individuals who, through teaching, writing, or other activity have conveyed to others a significant appreciation and knowledge of Missouri’s native flora. Arthur Christ Research Award, recognizing an individual’s significant contribution in furthering the knowledge of Missouri flora. Plant Stewardship Award, recognizing an individual or organization for the preservation of important elements of Missouri’s flora through purchase, registry, and/or management practice. The John E. Wylie Award, recognizing individuals who have provided exceptional service to the Society. 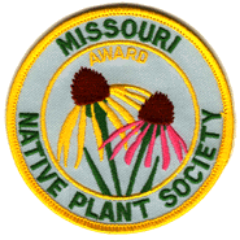 Plant Conservation Award, recognizing an individual or organization for outstanding contributions to the conservation or preservation of native plants or plant communities in Missouri. This award differs from the Plant Stewardship Award in that it is not tied to direct acquisition or management of tracts of land, but instead may recognize various types of outstanding achievements or efforts, such as conservation planning, advocacy, or new ways of looking at old problems. Julian A. Steyermark Award, the Society’s highest award, given to an individual who has made outstanding contributions to any and all aspects of Missouri botany. The deadline for nominations is May 15. Nominations should contain the full name of the nominee and the name of the person making the nomination, and they should set forth the contributions of the individual or organization that merits recognition. Award recipients need not be members of MONPS. Please submit nominations to Awards Committee Chairwoman, Malissa Briggler. Of course you do! Check out the fact sheets we have about native plants and other topics. Here you’ll find information about Missouri ecotypes, native plants, gardening, landscaping, and how to avoid the nasty non-natives. If you have an idea for a fact sheet you’d like to see added, let us know! If you’re like a lot of people, you shop at Amazon.com. Now, you can go to Amazon Smile, get all of the same products and benefits that you expect from Amazon.com, and still benefit the Missouri Native Plant Society! At our October 27th meeting Elizabeth Middleton led the business discussion on office positions for 2015 then turned the meeting over to her Botanical Research Assistant in the Resource Science Division of MDC, Jessica Needham. Members had been requested to bring samples of oaks with their acorns and Jessica taught us how to follow an identification key she had constructed. It was a fun and educational exercise where we learned that oak leaves can look very different depending if they grow in sun or shade and red oaks will have large acorns as well as tiny acorns since the tiny ones will mature the following year. Jessica and I discovered we have a common bond in vermiculture (composting worms). If you’re a past member but you haven’t renewed your dues, do so as soon as you can. We’re about to purge the membership roster. You don’t want to miss out on anything! Become a member now using PayPal or download a printable membership form. 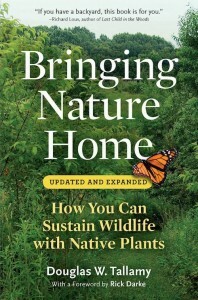 Are you looking for a gift for that person in your life who is on the cusp of becoming a native plant enthusiast? 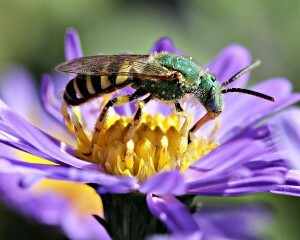 There is no doubt that it’s difficult to convince people to plant natives so insects can eat them! Isn’t that what we’re trying to avoid, they’ll say? Look no further than Doug Tallamy’s Bringing Nature Home. 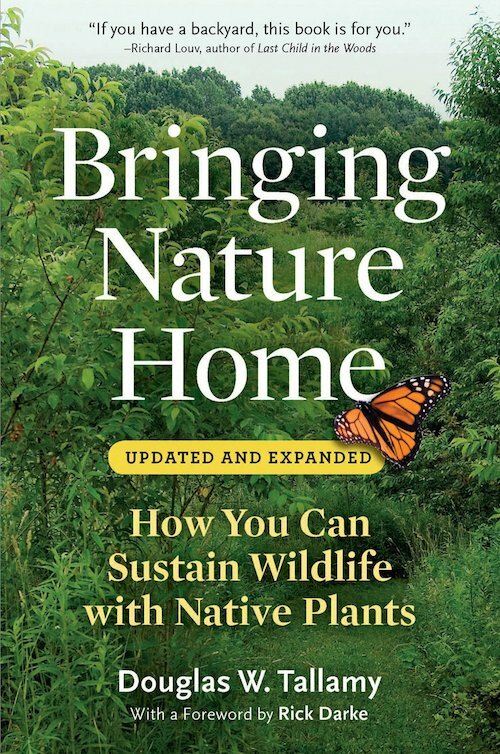 In particular, Tallamy makes the case that the birds that so many people enjoy absolutely depend on native plants to raise the insects and spiders needed to raise their young. It’s an easy and compelling read and has convinced me to put as much of our farm as possible in natives of some kind. Last year I made the suggestion to the Southwest Chapter of the Missouri Native Plant Society that perhaps we should do some sort of new project in 2014. I am not sure how it happened but this was translated by the group into me doing a plant inventory of a conservation area in southwest Missouri! Wire Road Conservation Area, near Crane in Stone County was selected. The area consists of 818 acres of bottomlands (wooded and old fields) along Crane Creek (a Blue Ribbon trout stream), steep forested slopes, and an uplands composed of mostly old fields; the area also contains several homestead sites. I allowed two days a week from late February to the end of October with time out for vacation, etc., resulting in approximately 55-60 days in the field, 5-6 hours per day. For an amateur botanist, this was a humbling and daunting task but I have learned over the years as a geology teacher that if one wants to learn something go ahead and jump in. It may not be so good if students are involved but it will definitely be a learning experience for the teacher! I survived and loved it! The result was a database with about 450+ species recorded and a minimum estimate of 500+ species for the area. I will continue to visit the area to work out a few species I had trouble with. Walking the same areas from late winter through spring, summer and fall was a great experience except for seed tick season but I must admit the blackberries were fantastic. Most of those did not get home. If I were to do this again I would definitely try to involve other people more and I would press those specimens that I had trouble with and those that were not officially recorded for that county. Hindsight of course is nearly perfect. The results of my efforts will be shared with the Missouri Department of Conservation. I hear some people actually get paid for doing things like this? Congratulations, Max, and thank you! 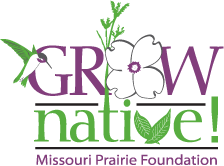 The Missouri Native Plant Society is a proud member of the Grow Native! program! This program, administered by the Missouri Prairie Foundation, brings commercial organizations, growers, nurseries, and non-profits together with folks from around the state and region interested in growing native plants and restoring native landscapes. Check it out at grownative.org!